I hope that you are all having a fantastic week so far. 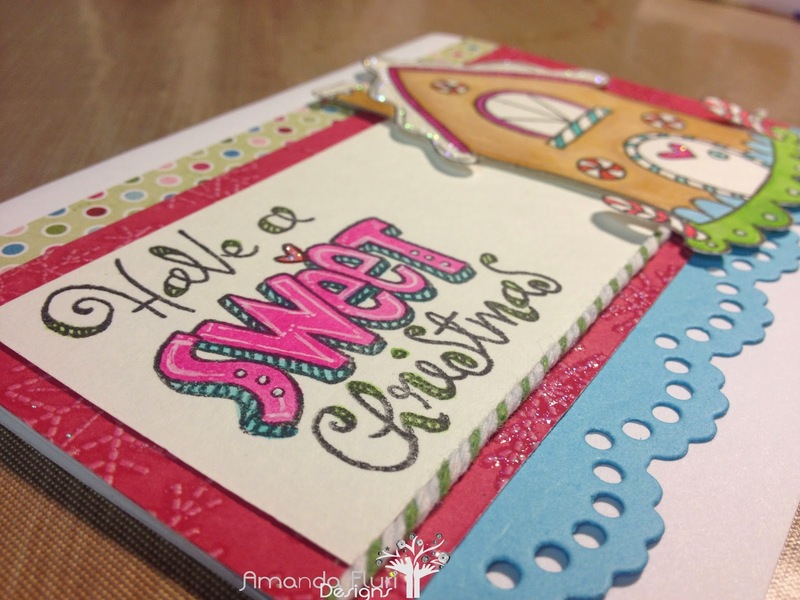 Last week I had so much fun playing along with the Merry Monday Challenge that I decided to play along again this week. That's pretty good. 2 weeks in a row. My question to myself is why the heck didn't I do this before, because it is way to much fun! 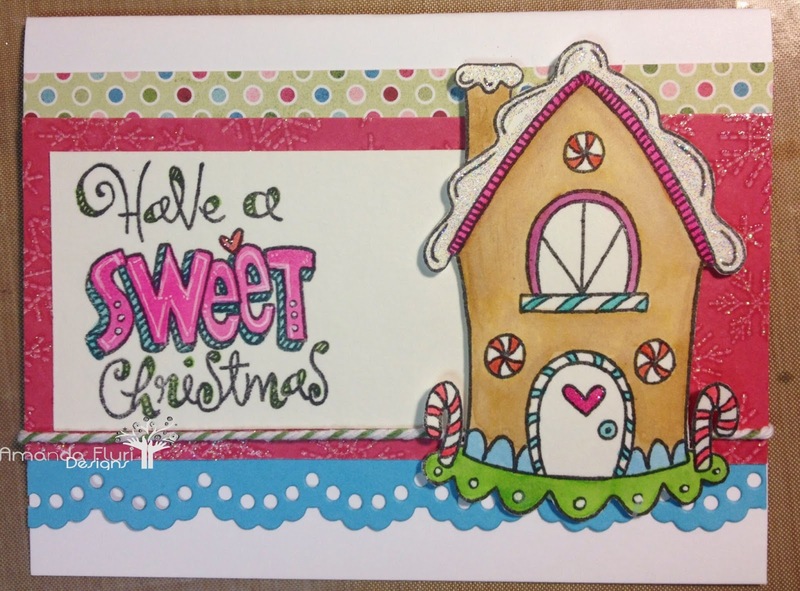 The Challenge this week is to create a card with a house. 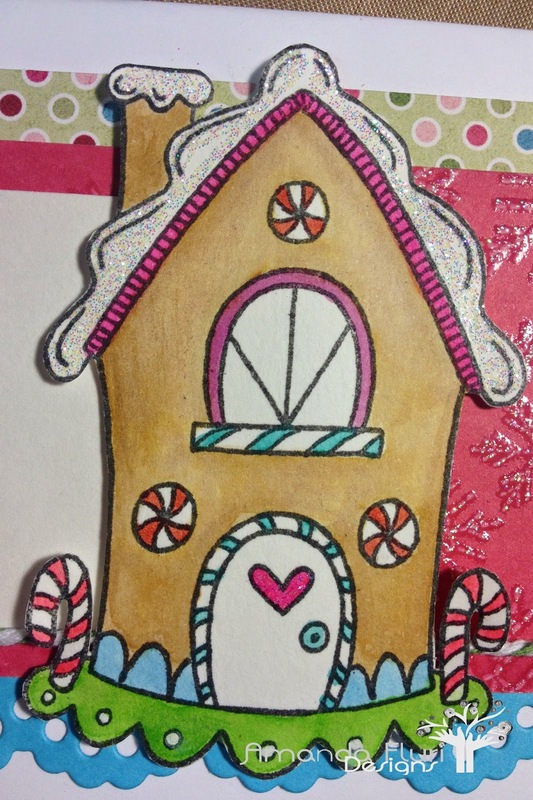 I have a lot of stamps which are houses that could have all be totally perfect for this challenge, however the moment that I saw the challenge there was a stamp that popped into my head, and I just couldn't resist using it. Although it is not your traditional type of house it is a "house". 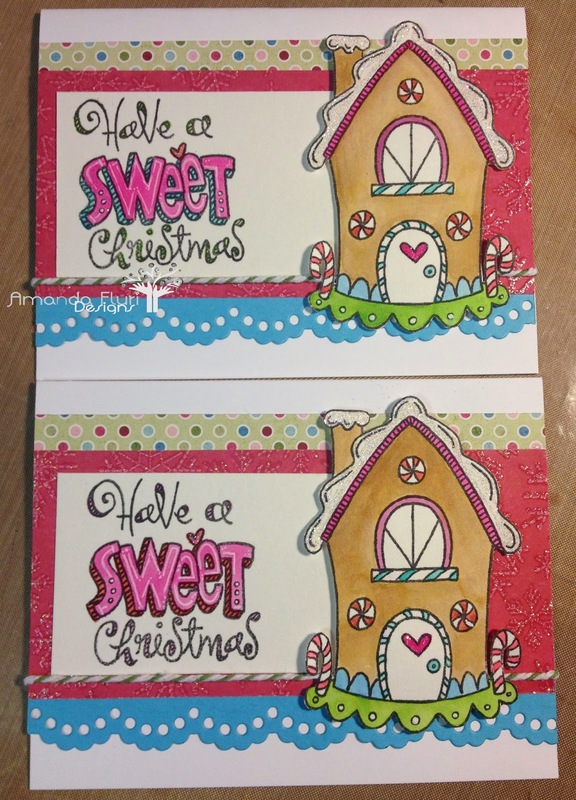 Just like last week I want to continue to build a stash of Christmas cards, so I created 2 of the same card. The wording of the cards are done in slightly different colours, but for the most part they are identical. I hope that you all enjoy my card. Here's the close up of the image that I used for my card. Here's the card from a front view. Here's a side view of the card. Here's a shot of the 2 cards. I will do my best to link to all the supplies that I used for this card, however not all of the products may still be available as they are from my stash. Circle Pattern Paper - used for the top strip along the top. That little house just couldn't be any sweeter, it's fantastic! Thanks for joining us at Merry Monday! Thank you so much! 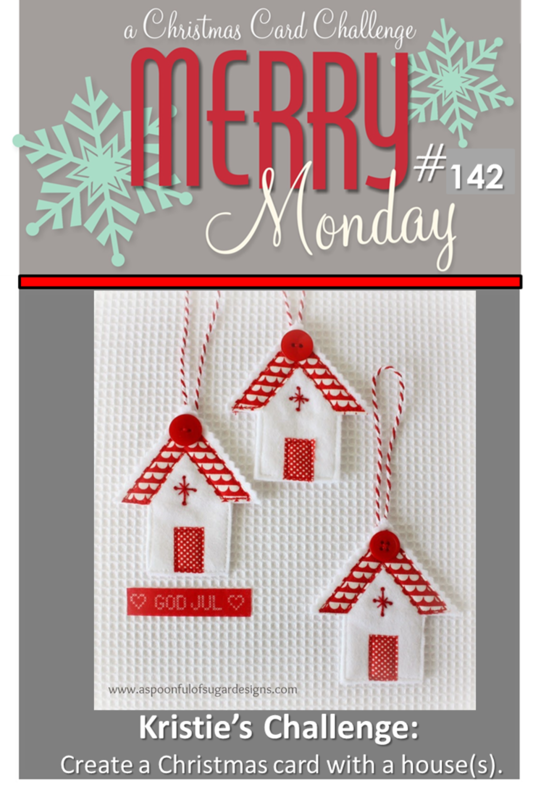 I am loving playing along with Merry Monday, and hope to continue into the future ! LOVE the colours - such a sweet and adorable house!!! Thanks so much for playing along with us at Merry Monday. such a cute, fun card - it's adorable!